▶ SoldThis listing was sold on Dec 22, 2017 for the price shown here. Make offer! 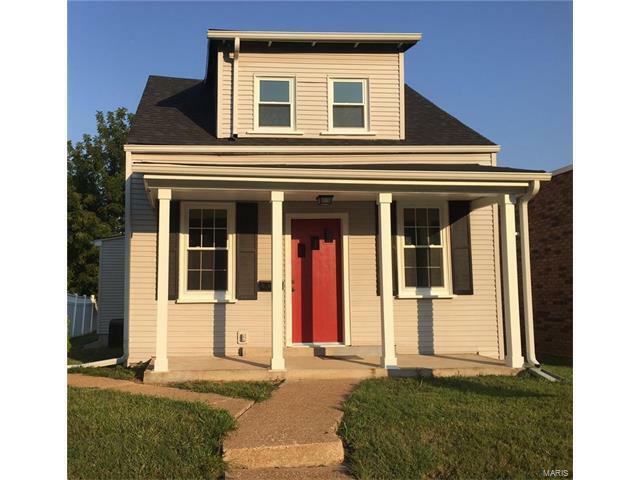 Cute 3 bedroom home in historic St. Charles only 3 blocks from Main Street! Originally built around 1890, it has been completely renovated inside and out. Too many updates to list. New kitchen with new cabinets, granite counters, stainless appliances. The bath has new subway tile and ceramic tile floors with main floor laundry. Freshly painted throughout, hand scraped plank main floor flooring and new ceiling fans and light fixtures on both levels. All windows have been replaced with double hung energy efficient units. New light fixtures, new air conditioning, high efficiency furnace. The electrical breaker panel and wiring have been previously updated. Exterior improvements include a new architectural roof, new composite decking on the 10'x 20' covered back porch plus low maintenance vinyl siding. This home has a deep lot, partial fencing and large storage shed. With a Walk Score of 85, it's easy walking distance to so much that historic St. Charles has to offer.